Do you spend more time talking to your peers or your customers? Stick with me here, I’m going somewhere. I was talking with a friend this morning about what’s going on in the WordPress space and we got into a discussion about companies that have a rabid fan base vs. companies that don’t. I totally get having a target audience and knowing who you’re serving, but you have to have conversations with your users, not just your peers. This was why I “left” (that’s a little dramatic, but I can’t think of another way to say that) the Genesis community a few years ago. For lack of a better word, the community felt elitist. If you weren’t a coder or understood Genesis coding standards, they didn’t have any use for you (I’m not referring to the StudioPress team when I say ‘they’… I mean the ambiguous ‘they’ that exists within that community). I still use Genesis (and at this point will obviously just be using it for my own projects since I’m not doing websites anymore), but outside of the relationships I’ve built I pretty much stay out of that space. There’s no ‘welcome mat’ at the door in that community. On the other hand, take the Beaver Builder community. Not only is there a “Welcome Mat” at the door, the front door is open and they’ve got a cold beer chilling for you whenever you get there. 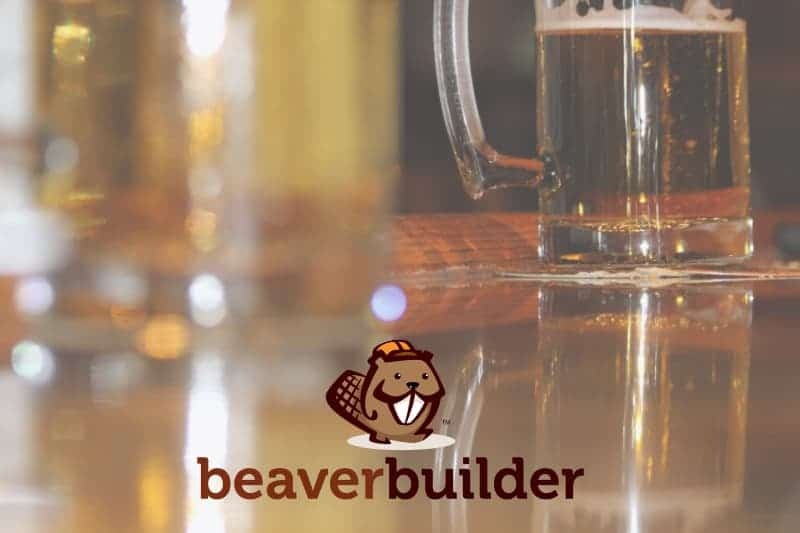 The Beaver Builder community really is “You want to go where everybody knows your name” (theme song from Cheers… yes, I’m dating myself again with another TV show reference). Even if they don’t know your name, you can bet there’s a spot at the bar for you (and that’s the last of the bar analogy). You guys already know I’m a huge fan of this plugin. I’ve interviewed the guys at Beaver Builder twice and just love them. They’re 3 of the most down-to-earth, friendly, fun and simply kind people you would want to meet. Which is a huge part of why this plugin has done so amazingly well. The other part is obviously because it’s a stellar product. What you might not know or be aware of are all the sites and supporters that are happily creating things to extend the power of Beaver Builder. Davinder has done an amazing job of pulling all the Beaver Builder resources, updates and news into one site. Subscribe to the free newsletter and never miss another update. Similar to PowerPack, the Ultimate Beaver plugin has custom modules to extend Beaver Builder. For the month of February they’re releasing additional free templates every day (you do need to be a customer to get the new templates). SIMPLY amazing. This is the community feel I was referring to. The founders are active in this group and post updates in here regularly. Probably one of the best Facebook groups I’m in. After publishing this post (which was orginally an email), I received some awesome comments (more love for this community) and a couple suggestions to add the Slack group… which I’ve just joined. Make sure to checkout the Slack group as well! The new Beaver Themer Plugin!!! HOLY MOLY this thing is AH-MAZING! Talk about extending Beaver Builder (this isn’t their theme, I know the name might be a little confusing). The best way to explain what this does is to let them show you. If you already have Beaver Builder, you’ll find the themer in your account (it’s in beta). It will be a separate purchase in the future but they haven’t discussed or explained pricing yet. Have fun checking these out and let me know what you think! Awe! Thanks so much, Kim! What a sweet article. We definitely need to do that IRL! Let’s shoot for Spring, I’m happy to organize something! Can’t wait to dive into Beaver Themer! I’m such a big fan of Beaver Builder and the community. The BB and GeneratePress communities are really the only two wordpress development-type communities I participate in on Facebook. LOVE LOVE LOVE how happy everyone is to help out a person with their site, regardless of where that person’s skill level is. It’s the reason I recommend it to newbies who want to build their own wordpress site DIY style. And could Beaver Themer be any more awesome!?!? Had a chance to play around with it a little bit last night and I can definitely see the potential. I can’t wait to see what all is available when it’s officially released and as they continue to develop it – there will be no hesitation with this purchase. I LOVE your enthusiasm Kyle! That’s exactly what I’m talking about. I haven’t seen anything quite like this community in the WordPress space in general. Everyone is positive and supportive, it’s amazing. I haven’t tried Beaver Themer out yet, but I’ll be diving in next week. I think it’s awesome that the BB team supports all the 3rd party love as well, they’re a class act! Haha… my pleasure Davinder! You do an amazing job. AND… you used the term Holy Moly, which is one of my favorites! PROBEAVER rocks… a good place to start diving. Thanks for the mention. It was lovely talking to you. It was great talking with you as well, I’m excited to share more of your awesome plugin with my audience and the interview of course. When I started the BB FB group (with permission from the BB guys) I made a conscious effort to not tolerate idiots and as*h**es 🙂 and the community has supported that policy. I’ve seen too many groups go to the dogs and was determined that Beaver Builders wouldn’t be the same. It also helps that BB is just an amazing product! The people in there make the community and get the vibe that we have. You guys have done an amazing job and it’s honestly one of the BEST groups on Facebook, pretty amazing. Also, I spend a lot of time bugging Davinder about BB stuff and he’s really cool to visit with me. We have some great conversations about BB and business in general. I haven’t quite gotten into the BB community yet, but hope to wade in in the near future. I think I’m setting up a separate domain just to test and play (while I create content around it of course).This is an amazing community! It’s pretty inspiring as well, worth jumping into Todd! Amazing read! Well spoken – going to get a beer!!! I’ve been craving a beer ever since I wrote this post! haha…You’re the second person to mention the Slack group… happy to add the resource and share it as well (and join). I can’t wait to dive into Themer! Great post. I’d love to see the Slack community acknowledged as well though if you could. HAPPY to add the Slack Community (& join) as well! Love this group! Kim! You hit the nail on the head. Although I, too, was dumb-founded by the lack of a “Welcome Mat” at the Genesis door, I thought it was because I was an outsider and, ok, I’ll put it out there, because I am a black female. To hear that you, too, experienced this, is very surprising to me, so it made me re-think the “imagined” reasons for my cold reception. The Beavers are an amazing conglomeration of people of all skills and experiences, nationalities, races, creeds from across the globe. And we all THRIVE in the spirit of sharing and mutual respect. The lack of ‘welcome mat’ at the Genesis door was disappointing, to say the least. Finding the Beaver community has renewed my excitement about all of this and makes me want to connect more. It’s a breath of fresh air and SO needed! I’m excited about connecting more with everyone. Looking forward to connecting with you more! Lovely article Kim and couldn’t agree more, you’ve hit the nail on the head on every single point. Very nice Kim. I completely relate to that. The Beaver Builder team are always so unpretentious, warm and open that I think that spirit had carried through to their community. I’ve been a Genesis fan for many years. It definitely has one of the best communities too and some fabulous people on their support, but it does take itself seriously. I used it because I was not a good developer and their framework could bridge that gap. haha… love the last line David! Thanks so much (and for coming back after the comment issue was fixed). I’m still a huge Genesis fan & made some great friends because of that community as well. It’s been amazing to see the BB community grow and I’m happy to be a part of it.